A recent brush with death didn't yield the confession investigators had hoped for from a Connecticut mobster suspected of knowing the whereabouts of $500 million worth of masterworks stolen from a Boston museum decades ago. If Robert Gentile knows anything about the art taken in 1990 from the Isabella Stewart Gardner Museum, he proved last month he's willing to take it to the grave. 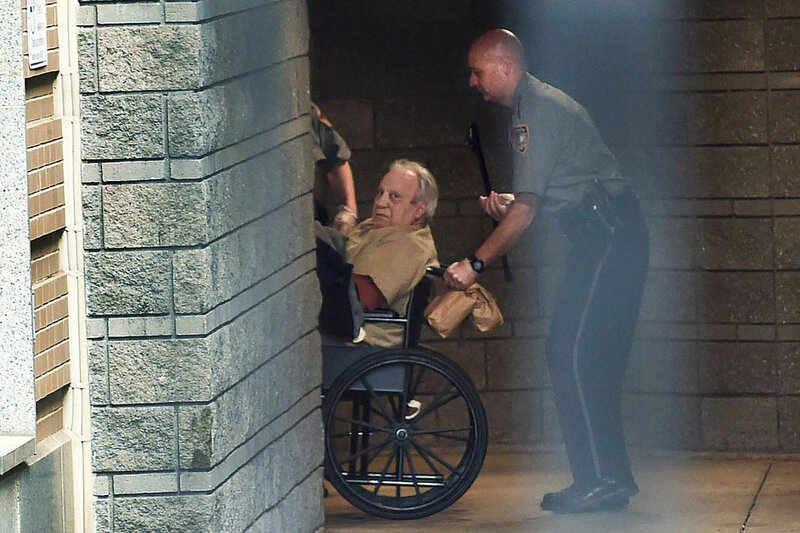 The 80-year-old "Bobby the Cook" Gentile, who is in federal custody awaiting trial on gun charges, was "on his death bed" in September when his attorney rushed to a South Carolina hospital to ask him -- one last time -- the question no one has answered to date. "I said, 'If you've ever had the paintings, give them up.' But he said there's no paintings," his attorney, Ryan McGuigan, told FoxNews.com Tuesday. "I believe him, but the FBI doesn't," McGuigan said. "There are a lot of people who don't believe him and they are very intelligent people. I disagree with them, respectfully." McGuigan flew to the South Carolina hospital, he said, because he was "open to the possibility that my client might be withholding something." "If there was ever a chance to say it, that was it," he said. "I do certainly know the importance of this art to humanity." What role, if any, Gentile played in the most infamous art heist in American history is unclear. His health has improved, and he is still not talking. It was just after midnight on March 18, 1990, when two men dressed as police officers buzzed the side door at the Boston museum and claimed they were there to investigate a disturbance. A little more than an hour later, the men left with what is said to be the most valuable collection of stolen artwork in history: $580 million worth of famous works, including Rembrandt's only seascape, "The Storm on the Sea of Galilee," and Vermeer's "The Concert," a masterpiece valued at more than $200 million. The two men who broke into the museum -- hours after Boston celebrated St. Patrick's Day -- had "inside knowledge" of the museum's surveillance system, FBI Special Agent Geoff Kelly previously told FoxNews.com. The suspects, described as white men in their 30s, convinced two inexperienced security guards that they were responding to a call, before overtaking the guards and tying them up. They spent 81 minutes inside the museum, walking the dark hallways before making their way to the Dutch Room, where the most valuable works hung.The pair smashed glass and used box cutters to remove the masterpieces from their frames. In all, 13 priceless items were taken: three paintings by Rembrandt including, "The Storm on the Sea of Galilee," five drawings by Degas, and Vermeer's "The Concert" -- said to be the most valuable stolen painting in the world. The thieves also snatched an ancient Chinese bronze beaker or "Ku" from the Shang Dynasty and a finial that once stood atop a flag from Napoleon's Army. Gentile became a focus of the investigation in 2009 when the widow of Robert Guarente, another person of interest in the theft -- told the FBI that Guarente and Gentile had at least two of the stolen works before Guarente's death from cancer in 2004. Another mobster, Robert “Bobby” Luisi Jr., told The Boston Globe in July that Guarente had said the paintings were buried under the cement slab foundation of a home in Florida. McGuigan said Guarente may have had the paintings, but his client insists they did not come from him. "He's denied ever having the paintings and he's denied knowing the whereabouts of the paintings," McGuigan said. "He hasn't denied knowing the people who at one point had possession of the paintings." "This whole case [against Gentile] comes down to this woman saying her husband gave him the paintings," McGuigan added. "Anybody who had these paintings would hold onto them because the possession of them is power. You'd be giving up the keys to the kingdom. It doesn't make any sense." The FBI said in 2013 that it knows who pulled off the biggest art heist in history, but it isn't naming names. And as for what became of the $580 million worth of masterpieces stolen exactly 26 years ago from a Boston museum, investigators say that trail went cold a decade ago. The FBI said in March 2013 it would be "imprudent" to disclose the identities of the thieves who stole 13 works of art from the museum but said they belong to a criminal organization. Investigators said they believe the artwork has "changed hands several times" over the years. "The FBI believes with a high degree of confidence in the years after the theft the art was transported to Connecticut and the Philadelphia region and some of the art was taken to Philadelphia where it was offered for sale by those responsible for the theft," Special Agent Richard DesLauriers told reporters in March 2013. "With that same confidence we have identified the thieves who are members of a criminal organization with a base in the mid-Atlantic states and New England," he said. An FBI spokesman was not immediately available when contacted Wednesday. Gentile is currently in prison facing a federal gun charge he says the FBI contrived to force him to disclose the location of the artwork. In May, FBI agents swarmed a Connecticut home owned by Gentile, digging up the yard looking for any evidence. According to the Boston Globe, a federal prosecutor said in court earlier this year that Gentile last year offered to sell the paintings to an undercover FBI agent for $500,000 a piece. Gentile also failed a polygraph exam when questioned about the heist and current whereabouts of the paintings, the prosecutor said. When asked about Gentile's alleged contact with an FBI agent last year, McGuigan told FoxNews.com, "I don't know that to be true." When questioned by the Globe in an Oct. 1 article, McGuigan reportedly said Gentile was "just pretending" to have the paintings.